The Ethiopian News­pa­per Web Site (the “Site”) is an online infor­ma­tion ser­vice pro­vided by Ethiopian News­pa­per (“Ethiopian News­pa­per”), sub­ject to your com­pli­ance with the terms and con­di­tions set forth below. PLEASE READ THIS DOCUMENT CAREFULLY BEFORE ACCESSING OR USING THE SITE. BY ACCESSING OR USING THE SITE, YOU AGREE TO BE BOUND BY THE TERMS AND CONDITIONS SET FORTH BELOW. IF YOU DO NOT WISH TO BE BOUND BY THESE TERMS AND CONDITIONS, YOU MAY NOT ACCESS OR USE THE SITE. Ethiopian News­pa­per MAY MODIFY THIS AGREEMENT AT ANY TIME, AND SUCH MODIFICATIONS SHALL BE EFFECTIVE IMMEDIATELY UPON POSTING OF THE MODIFIED AGREEMENT ON THE SITE. YOU AGREE TO REVIEW THE AGREEMENT PERIODICALLY TO BE AWARE OF SUCH MODIFICATIONS AND YOUR CONTINUED ACCESS OR USE OF THE SITE SHALL BE DEEMED YOUR CONCLUSIVE ACCEPTANCE OF THE MODIFIED AGREEMENT. Copy­right, Licenses and Idea Sub­mis­sions. The entire con­tents of the Site are pro­tected by inter­na­tional copy­right and trade­mark laws. The owner of the copy­rights and trade­marks are Ethiopian News­pa­per, its affil­i­ates or other third party licen­sors. YOU MAY NOT MODIFY, COPY, REPRODUCE, REPUBLISH, UPLOAD, POST, TRANSMIT, OR DISTRIBUTE, IN ANY MANNER, THE MATERIAL ON THE SITE, INCLUDING TEXT, GRAPHICS, CODE AND/OR SOFTWARE. You may print and down­load por­tions of mate­r­ial from the dif­fer­ent areas of the Site solely for your own non-commercial use pro­vided that you agree not to change or delete any copy­right or pro­pri­etary notices from the mate­ri­als. You agree to grant to Ethiopian News­pa­per a non-exclusive, royalty-free, world­wide, per­pet­ual license, with the right to sub-license, to repro­duce, dis­trib­ute, trans­mit, cre­ate deriv­a­tive works of, pub­licly dis­play and pub­licly per­form any mate­ri­als and other infor­ma­tion (includ­ing, with­out lim­i­ta­tion, ideas con­tained therein for new or improved prod­ucts and ser­vices) you sub­mit to any pub­lic areas of the Site (such as bul­letin boards, forums and news­groups) or by e-mail to Ethiopian News­pa­per by all means and in any media now known or here­after devel­oped. You also grant to Ethiopian News­pa­per the right to use your name in con­nec­tion with the sub­mit­ted mate­ri­als and other infor­ma­tion as well as in con­nec­tion with all adver­tis­ing, mar­ket­ing and pro­mo­tional mate­r­ial related thereto. You agree that you shall have no recourse against Ethiopian News­pa­per for any alleged or actual infringe­ment or mis­ap­pro­pri­a­tion of any pro­pri­etary right in your com­mu­ni­ca­tions to Ethiopian Newspaper. Pub­li­ca­tions, prod­ucts, con­tent or ser­vices ref­er­enced herein or on the Site are the exclu­sive trade­marks or ser­vice­marks of Ethiopian News­pa­per. Other prod­uct and com­pany names men­tioned in the Site may be the trade­marks of their respec­tive owners. You under­stand that, except for infor­ma­tion, prod­ucts or ser­vices clearly iden­ti­fied as being sup­plied by Ethiopian News­pa­per, Ethiopian News­pa­per­ does not oper­ate, con­trol or endorse any infor­ma­tion, prod­ucts or ser­vices on the Inter­net in any way. Except for Ethiopian News­pa­per– iden­ti­fied infor­ma­tion, prod­ucts or ser­vices, all infor­ma­tion, prod­ucts and ser­vices offered through the Site or on the Inter­net gen­er­ally are offered by third par­ties, that are not affil­i­ated with Ethiopian News­pa­per a. You also under­stand that Ethiopian News­pa­per can­not and does not guar­an­tee or war­rant that files avail­able for down­load­ing through the Site will be free of infec­tion or viruses, worms, Tro­jan horses or other code that man­i­fest con­t­a­m­i­nat­ing or destruc­tive prop­er­ties. You are respon­si­ble for imple­ment­ing suf­fi­cient pro­ce­dures and check­points to sat­isfy your par­tic­u­lar require­ments for accu­racy of data input and out­put, and for main­tain­ing a means exter­nal to the Site for the recon­struc­tion of any lost data. YOU ASSUME TOTAL RESPONSIBILITY AND RISK FOR YOUR USE OF THE SITE AND THE INTERNET. Ethiopian News­pa­per PROVIDES THE SITE AND RELATED INFORMATION “AS IS” AND DOES NOT MAKE ANY EXPRESS OR IMPLIED WARRANTIES, REPRESENTATIONS OR ENDORSEMENTS WHATSOEVER (INCLUDING WITHOUT LIMITATION WARRANTIES OF TITLE OR NONINFRINGEMENT, OR THE IMPLIED WARRANTIES OF MERCHANTABILITY OR FITNESS FOR A PARTICULAR PURPOSE) WITH REGARD TO THE SERVICE, ANY MERCHANDISE INFORMATION OR SERVICE PROVIDED THROUGH THE SERVICE OR ON THE INTERNET GENERALLY, AND Ethiopian News­pa­per SHALL NOT BE LIABLE FOR ANY COST OR DAMAGE ARISING EITHER DIRECTLY OR INDIRECTLY FROM ANY SUCH TRANSACTION. IT IS SOLELY YOUR RESPONSIBILITY TO EVALUATE THE ACCURACY, COMPLETENESS AND USEFULNESS OF ALL OPINIONS, ADVICE, SERVICES, MERCHANDISE AND OTHER INFORMATION PROVIDED THROUGH THE SERVICE OR ON THE INTERNET GENERALLY. Ethiopian News­pa­per DOES NOT WARRANT THAT THE SERVICE WILL BE UNINTERRUPTED OR ERROR-FREE OR THAT DEFECTS IN THE SERVICE WILL BE CORRECTED. YOU UNDERSTAND FURTHER THAT THE PURE NATURE OF THE INTERNET CONTAINS UNEDITED MATERIALS SOME OF WHICH MAY BE OFFENSIVE TO YOU. YOUR ACCESS TO SUCH MATERIALS IS AT YOUR RISK. Ethiopian News­pa­per HAS NO CONTROL OVER AND ACCEPTS NO RESPONSIBILITY WHATSOEVER FOR SUCH MATERIALS. IN NO EVENT WILL Ethiopian News­pa­per BE LIABLE FOR (I) ANY INCIDENTAL, CONSEQUENTIAL, OR INDIRECT DAMAGES (INCLUDING, BUT NOT LIMITED TO, DAMAGES FOR LOSS OF PROFITS, BUSINESS INTERRUPTION, LOSS OF PROGRAMS OR INFORMATION, AND THE LIKE) ARISING OUT OF THE USE OF OR INABILITY TO USE THE SERVICE, OR ANY INFORMATION, OR TRANSACTIONS PROVIDED ON THE SERVICE, OR DOWNLOADED FROM THE SERVICE, OR ANY DELAY OF SUCH INFORMATION OR SERVICE. EVEN IF Ethiopian News­pa­per OR ITS AUTHORIZED REPRESENTATIVES HAVE BEEN ADVISED OF THE POSSIBILITY OF SUCH DAMAGES, OR (II) ANY CLAIM ATTRIBUTABLE TO ERRORS, OMISSIONS, OR OTHER INACCURACIES IN THE SERVICE AND/OR MATERIALS OR INFORMATION DOWNLOADED THROUGH THE SERVICE. BECAUSE SOME STATES DO NOT ALLOW THE EXCLUSION OR LIMITATION OF LIABILITY FOR CONSEQUENTIAL OR INCIDENTAL DAMAGES, THE ABOVE LIMITATION MAY NOT APPLY TO YOU. IN SUCH STATES, Ethiopian News­pa­per LIABILITY IS LIMITED TO THE GREATEST EXTENT PERMITTED BY LAW. Ethiopian News­pa­per makes no rep­re­sen­ta­tions what­so­ever about any other web site which you may access through this one or which may link to this Site. When you access a non-Ethiopian News­pa­per web site, please under­stand that it is inde­pen­dent from Ethiopian News­pa­per, and that Ethiopian News­pa­per has no con­trol over the con­tent on that web site. In addi­tion, a link to Ethiopian News­pa­per web site does not mean that Ethiopian News­pa­per endorses or accepts any respon­si­bil­ity for the con­tent, or the use, of such web site. You agree to indem­nify, defend and hold harm­less Ethiopian News­pa­per, its offi­cers, direc­tors, employ­ees, agents, licen­sors, sup­pli­ers and any third party infor­ma­tion providers to the Ser­vice from and against all losses, expenses, dam­ages and costs, includ­ing rea­son­able attor­neys’ fees, result­ing from any vio­la­tion of this Agree­ment (includ­ing neg­li­gent or wrong­ful con­duct) by you or any other per­son access­ing the Service. 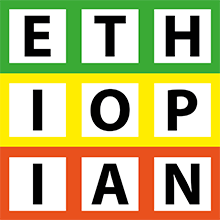 The pro­vi­sions of para­graphs 2 (Use of the Ser­vice), and 3 (Indem­ni­fi­ca­tion) are for the ben­e­fit of Ethiopian News­pa­per and its offi­cers, direc­tors, employ­ees, agents, licen­sors, sup­pli­ers, and any third party infor­ma­tion providers to the Ser­vice. Each of these indi­vid­u­als or enti­ties shall have the right to assert and enforce those pro­vi­sions directly against you on its own behalf. This Agree­ment may be ter­mi­nated by either party with­out notice at any time for any rea­son. The pro­vi­sions of para­graphs 1 (Copy­right, Licenses and Idea Sub­mis­sions), 2 (Use of the Ser­vice), 3 (Indem­ni­fi­ca­tion), 4 (Third Party Rights) and 6 (Mis­cel­la­neous) shall sur­vive any ter­mi­na­tion of this Agreement. This Agree­ment shall all be gov­erned and con­strued in accor­dance with the laws of United States of America applic­a­ble to agree­ments made and to be per­formed in United States of America. You agree that any legal action or pro­ceed­ing between Ethiopian News­pa­per and you for any pur­pose con­cern­ing this Agree­ment or the par­ties’ oblig­a­tions here­un­der shall be brought exclu­sively in a fed­eral or state court of com­pe­tent juris­dic­tion sit­ting in United States of America. Any cause of action or claim you may have with respect to the Ser­vice must be com­menced within one (1) year after the claim or cause of action arises or such claim or cause of action is barred. Ethiopian Newspaper’s fail­ure to insist upon or enforce strict per­for­mance of any pro­vi­sion of this Agree­ment shall not be con­strued as a waiver of any pro­vi­sion or right. Nei­ther the course of con­duct between the par­ties nor trade prac­tice shall act to mod­ify any pro­vi­sion of this Agree­ment. Ethiopian News­pa­per may assign its rights and duties under this Agree­ment to any party at any time with­out notice to you. Infor­ma­tion on this web­site other than his­tor­i­cal facts, such as fore­casts of future busi­ness per­for­mance, are forward-looking state­ments based on Ethiopian Newspaper’s judg­ment and are sub­ject to cer­tain assump­tions. This infor­ma­tion does not con­sti­tute a guar­an­tee of future performance. We do not aim to make future pre­dic­tions through pro­fessed ‘super­nat­ural’ means. All arti­cles are writ­ten as a result of analy­sis and extrap­o­la­tion of cur­rent trends and other structures. While every effort has been made to ensure the accu­racy of the infor­ma­tion on this web­site, cer­tain state­ments or fig­ures may be inaccurate. Site vis­i­tors are advised to use the infor­ma­tion pro­vided on this web­site, includ­ing use for pur­poses such as invest­ment decision-making, solely at their own risk and discretion. Like­wise not all men­tioned brands, per­sons and tech­nolo­gies actu­ally exist or will exist in the future. The pur­pose of Ethiopian News­pa­per is to inform read­ers of the pos­si­bil­i­ties that the future offers as well as engage read­ers’ minds in think­ing about the future. Ethiopian News­pa­per will not be held liable for any claims result­ing from use or mis­use of this information.